Though perhaps most associated with car accidents, whiplash may occur with any motion that suddenly strains the muscles and tendons in your neck. Dr. Faranak Taheri of My Chiropractic Doctor provides relief no matter how your neck injury occurs. For a quick trip back to pain-free living, call the office in Tysons Corner, Virginia, for an appointment today. What happens when a person experiences whiplash? Whiplash happens occurs the head experiences a sudden movement forward or backward, causing strain on the soft tissue of the neck. Muscles and tendons are stretched and torn, causing neck strain. The human body is top-heavy, with the neck and shoulders supporting the weight of the skull and brain. Because the skull weighs so much, it can cause damage when caused to move in a certain forceful way. Whiplash symptoms may appear immediately, or their onset may be delayed — sometimes as long as several days after the incident causing the injury. There’s no way to prevent whiplash apart from keeping your neck muscles strong to minimize injury when an incident occurs. Whiplash usually produces an abundance of pain. It may hurt as you move your head from side to side or front to back. Looking over your shoulder may not be possible, or accompanied by major discomfort. Headaches radiating from the base of the skull may occur, along with feelings of tenderness anywhere in the neck and shoulder area. Injuries that cause whiplash may also cause concussions, so it is advised to seek emergency medical treatment if a headache persists or gets worse. Trouble speaking, dizziness, and confusion may also accompany concussion. 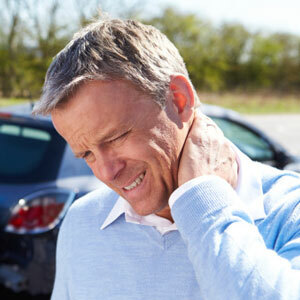 How is whiplash treated through chiropractic care? Dr. Taheri examines your neck and spine to assess its overall condition, including pain, limited motion, muscle spasms, and injuries to ligaments. Any tenderness and tight spots are also noted. In some cases, Dr. Taheri uses X-ray or MRI images to scan for injuries or degenerative conditions. During the early stages of whiplash, when pain is at its worst, she focuses on reducing inflammation. This may include ice packs, gentle stretching, and manual therapies. You may also be asked to continue cold compresses and use neck supports until inflammation eases. Once out of the acute phase, Dr. Taheri continues with conventional chiropractic techniques to realign your spine.